BAGHDAD, -- The U.S. envoy for the international coalition against the Islamic State (IS) group has said that a major ground offensive will start soon, the state-run Petra news agency reported on Sunday, February 8, 2015. The Iraqi forces will lead the offensive with support from members of the coalition, the U.S. envoy General John Allen said in an interview with the Amman-based news agency. The general said that work had already started to prepare 12 brigades from Iraq for the offensive, adding that training and equipping of the brigades had begun. Allen said he will soon head to East Asia to involve more countries in the coalition, which already includes 62 countries. The United States will provide support to Jordan, a key player in the region. Also on Sunday, a squadron of F-16 fighter jets from the United Arab Emirates, together with the pilots, technicians and equipment, arrived in Jordan to support fighting the IS group, according to Petra. The Royal Jordan Air Force said early Sunday that it will continue striking the IS, and that the size of the air strikes will depend on targets. Over the past three days, the Jordanian air forces have attacked 56 IS-affiliated targets, including its leadership centers, training camps and militants, destroying their weapons, vehicles and facilities. Jordan has taken part in 946 air missions since it joined the U.S.-led international coalition last year, the military said, adding that the coalition forces have conducted some 5,500 missions and killed more than 7,000 IS militants. Earlier on Thursday, Jordan restarted bombing IS targets after one of its fighter pilots was captured and burnt alive by the IS. The air raids continued on Friday and Saturday. 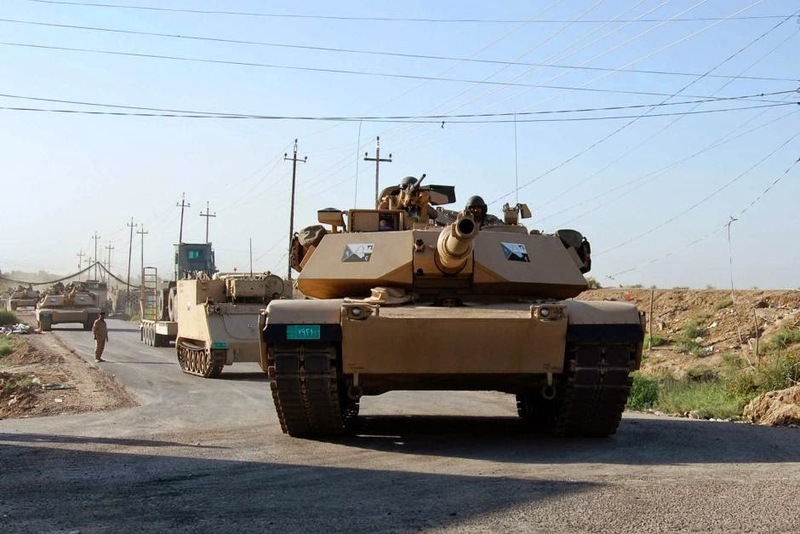 Tanks belonging to the Iraqi security forces take part in an intensive security deployment on the outskirts of the city of Samarra, June 25, 2014.